With its fine feature set and simple functionality, the Salter-Brecknell ESA-600 is the sensible response to almost any application, in any market sectors requiring an accurate precision weighing solution. 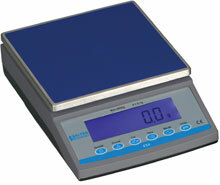 This alternative to premium priced analytical balances is ideal for general laboratory, industrial and educational applications requiring multiple weighing units. The Brecknell 816965003242 is also known as Brecknell Scales	816965003242	.